The world of the early modern period (C10th - C16th) was one of religious obsession, power struggles and plunder. But it was also a world of stunning artistic endeavour. This collection shows how, encoded in the art and architecture of the time, you can find stories of political machinations, female influence and surging movements of people. We may think our own era has a monopoly on long-distance travel, but in the mediaeval period it was perfectly possible for Western Catholic artists to encounter Eastern Orthodox or Islamic cultures. And as the different cultures met, they influenced each other in unexpected ways. 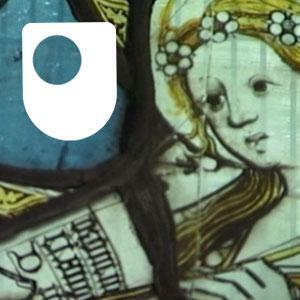 This material forms part of The Open University course A226 Exploring art and visual culture. People once thought stained glass windows were “the bible of the poor”, but looking more closely at their function reveals something far more endearingly human. This broadly-focused module introduces you to university-level study in the arts across a range of subject areas - art history, classical studies, English, history, philosophy, music and religious studies. It is structured around four themes, in order to guide you through some of the basic concerns of arts subjects: Reputations; Tradition and Dissent; Cultural Encounters; and Place and Leisure. Your studies will range from poetry to string quartets, and from sculpture to short stories ? across a wide variety of cultures and historical periods. This key introductory OU level 1 module is also a useful means of acquiring the key skills required for further study of arts and humanities subjects. Have you ever wondered about the visual remains of past centuries that still survive in our cities and countryside today? Are you baffled by modern art? This collection provides you with insights into different aspects of art and visual culture between the Middle Ages and the present day. You will discover the wonders of medieval stained glass and learn how East meets West in a Byzantine icon. You will be introduced to the splendours of Baroque architecture and be taken on a tour of a spectacular display of Neo-classical sculpture in an English country house. And you will find out about a key movement in modern art, Abstract Expressionism, and take a look at some iconic works in Tate Modern. This material forms part of The Open University course A226 Exploring art and visual culture. Baffled by modern art and architecture? You’re not alone! This collection gives new insight into today’s shifting kaleidoscope of visual culture by placing it in the context of the developments of the 19th and 20th century. In the mid 19th century there was a growing realisation that everything had changed. Industry was booming, and the speed of life increasing. Artists, thinkers and architects strove to find new ways of encapsulating this new world … and modernism was born. The collection describes how throughout the twentieth century different media and artforms were added to the canon, and the sophisticated social structure of the Art-world developed. 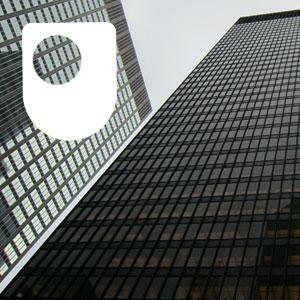 This material forms part of The Open University course A226 Exploring art and visual culture. Drawing on the cases of Byron, George Eliot and others, the concept of the author is outlined in this video.